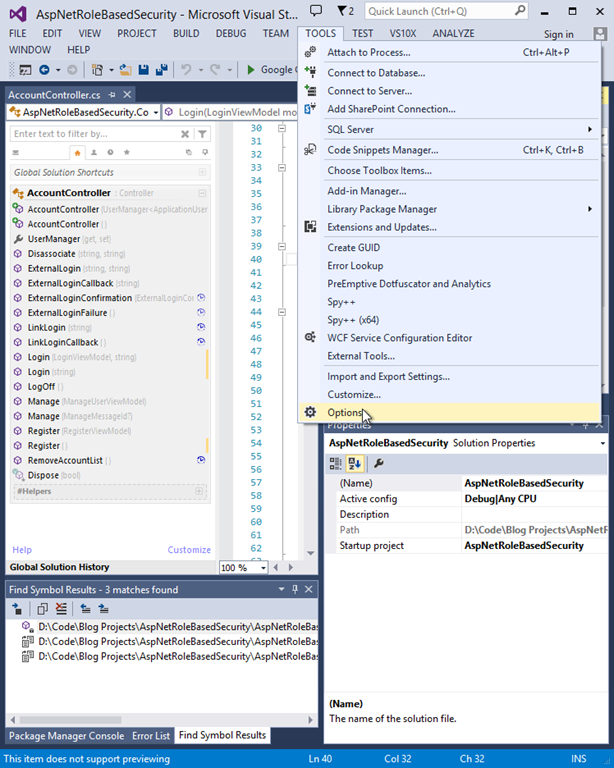 What is not cool is when you push a project to source control and include a ton of installed packages, bulking up your repo with stuff that could be easily pulled in via Nuget by anyone cloning your project. However, what was equally irritating was having to include instructions for what packages need to be installed, if they were excluded from the source repo. 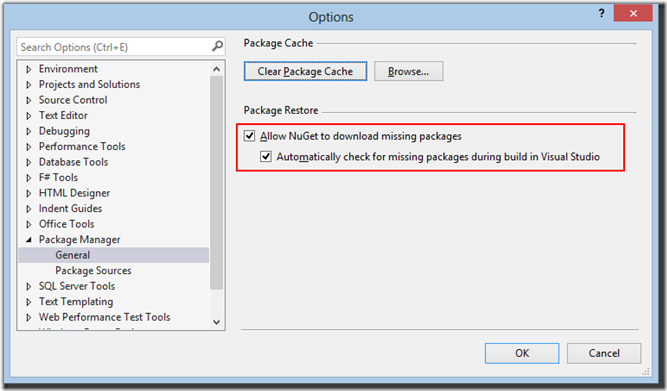 Now that our machine has been told it is ok to restore Nuget Packages automatically, we need to enable this behavior in our specific solution as well. 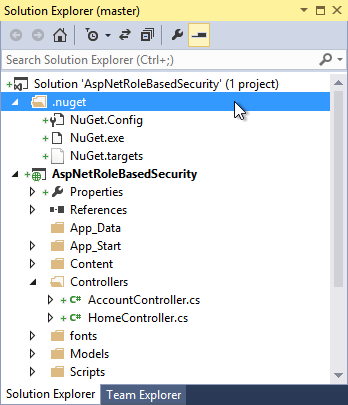 Notice the NuGet.exe file in there? This file is required when, for example, someone clones your project from source and attempts to build with Nuget Package Restore enabled. Therefore, it needs to be committed to source control. 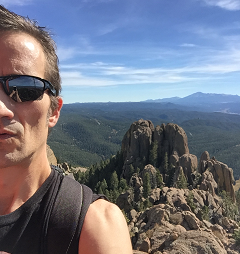 We also now want to exclude all the package files from source by editing our .gitignore file (I am assuming Git as the source control provider, but the principle here applies to whichever provider you are using – you need to tell your version control system what to include in the repository and what to keep out). 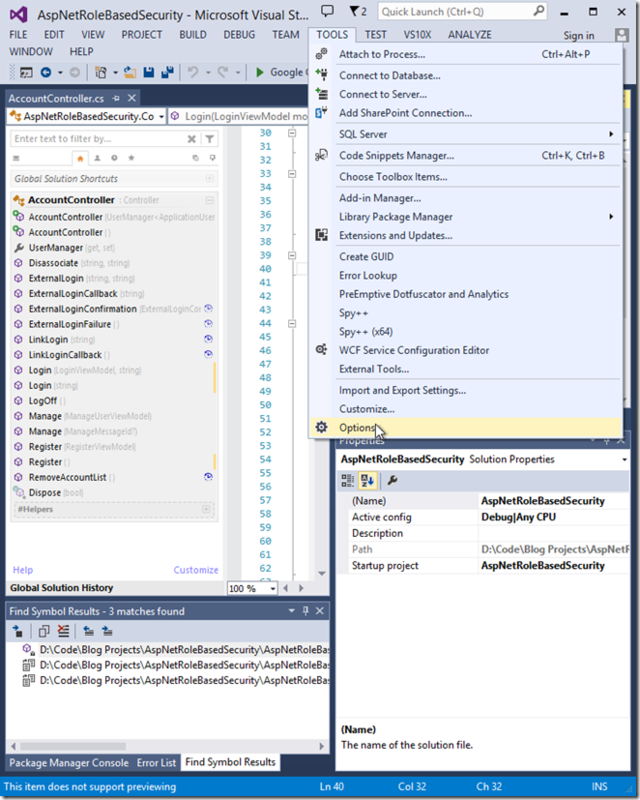 A typical ASP.NET MVC 5 project created from the standard VS 2013 template will contain (as of this writing) 161 files from various Nuget packages included as part of the default solution. This is some significant bulk. Using the default .gitignore file (or any of the most common in use for Visual Studio/C# projects) the total number of files which will tend to be included as part of the project repo numbers over 200. Note this is after excluding all the binaries and VS housekeeping files. 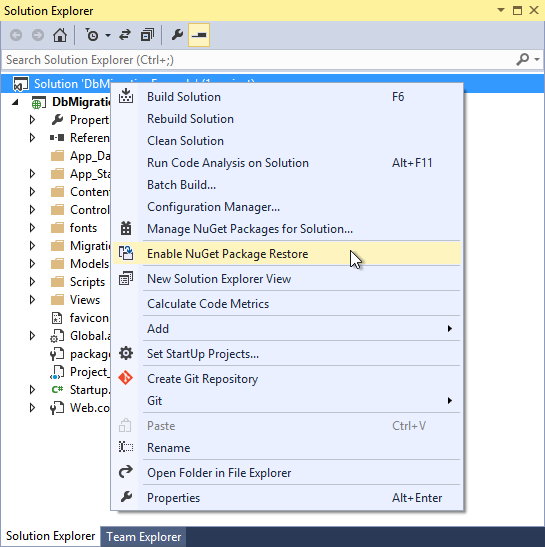 In other words, nearly 75% of the common files in a VS 2013 ASP.NET MVC 5 solution consist of Nuget packages, which can now be restored automatically instead of pushed up to our repo. To cut down the bulk, lets modify our .gitignore as follows. Note, your .gitignore (or .hgignore, or .tfsignore, what have you) will most likely look a little different than mine. That’s okay, because we’re only going to do a few small tweaks to the file – keep the rest the same. 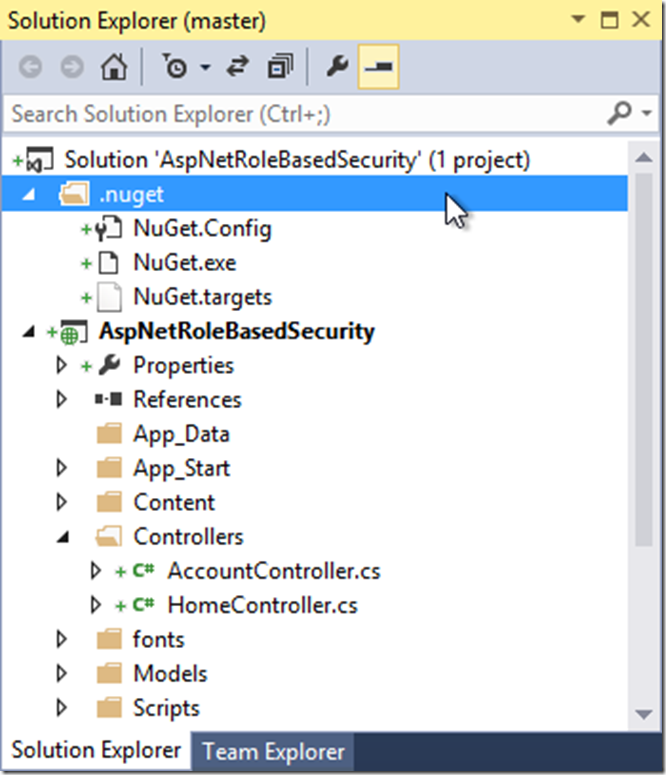 The above tells Git to ignore .exe files, but to make an exception for NuGet.exe. 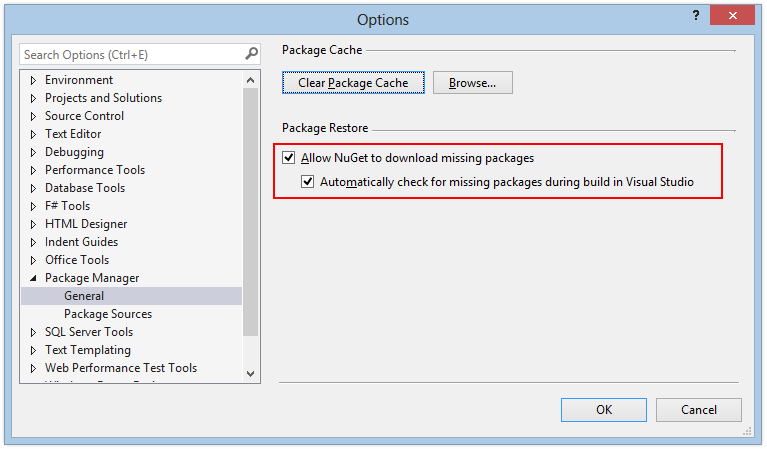 The step above is optional, since someone cloning your solution could simply Enable Nuget Package Restore for the solution, at which point the NuGet.exe would be installed. However, this saves the step. 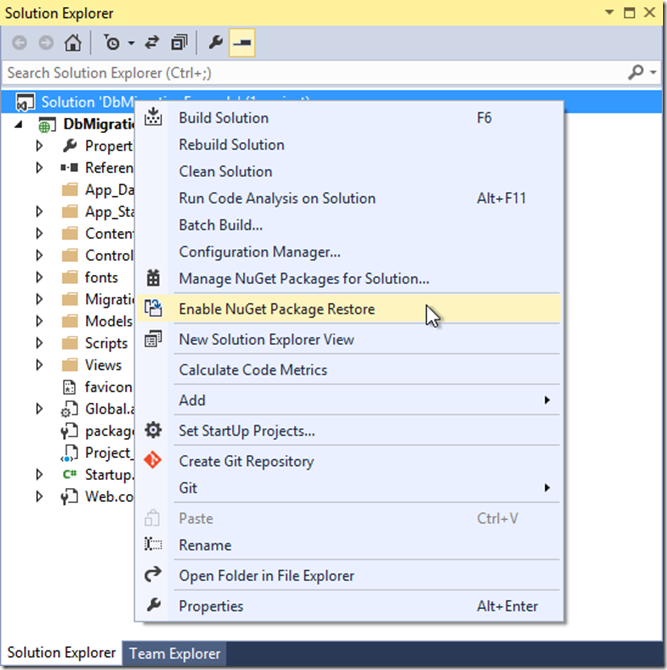 Now, we no longer need to include all the installed Nuget package files in our source repo. However, we should probably add a blurb to the README.txt file (or otherwise inform consumers of our code) letting users know that they will need to perform the VS configuration needed to allow Nuget to restore packages as described in the first step in this article.